We woke to another Mr blue sky day ! – Palomas solar panels were doing a great job recharging the batteries, as last nights dominos session, meant we stayed up way past our normal bed time ! 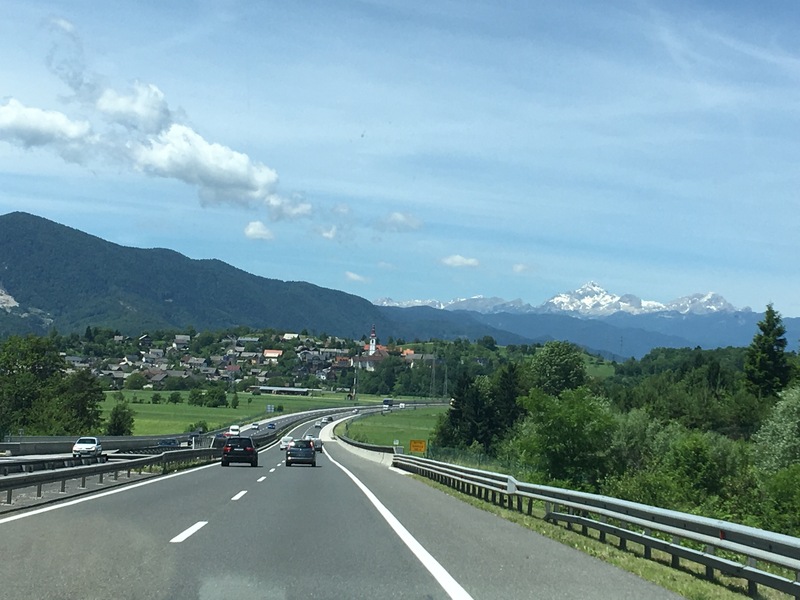 So into the sat nav we popped the coordinates for probably Slovenia’s most famous place, and off we head once again taking the mountain route with enough climbs and hairpin bends to last a life time. As we climbed another hill, we encounter what is now the disused boarder crossing, with the only thing signalling that you’ve entered another country being the “dipped headlights at all times sign” , so sadly no euro stars sign this time. Dropping down the valley the sat nav showed us the nearest fuel station, so in we pop for another vignette, no where near as easy as the Austrian system as they have different classes ! 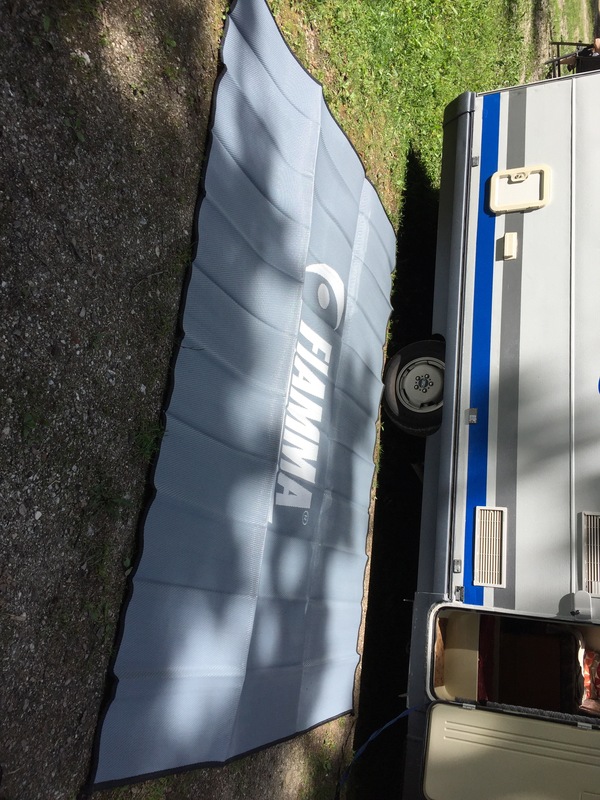 We got a 2a which I believe covers all motorhomes ?? And then the choice of a week at €15 or a month at €30. As we have no idea what their is to see, apart from Michele wanting to vist Bled, we opt for the month, just in case. 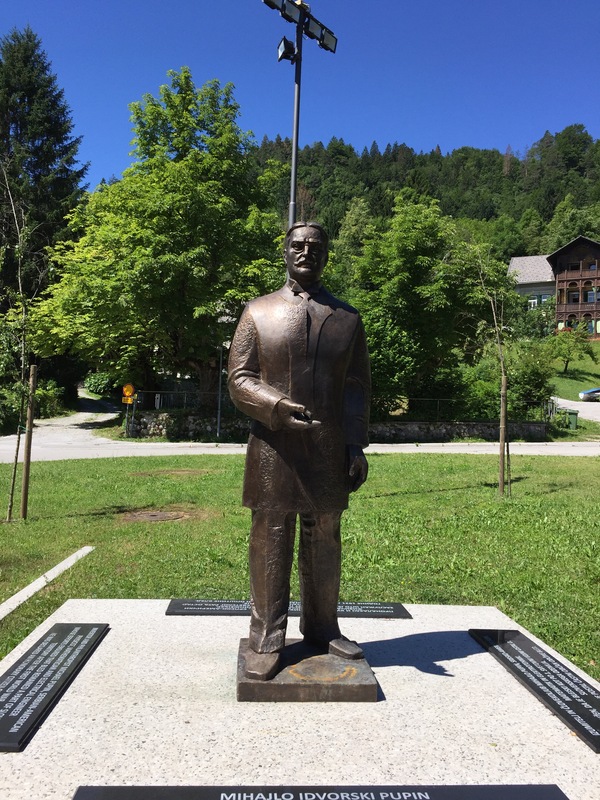 A dash into the Lidls to fill with provisions, provided our first insight into Solvinien prices, with Meat being around half the price it was in Austria, but the beer is far more expensive….. 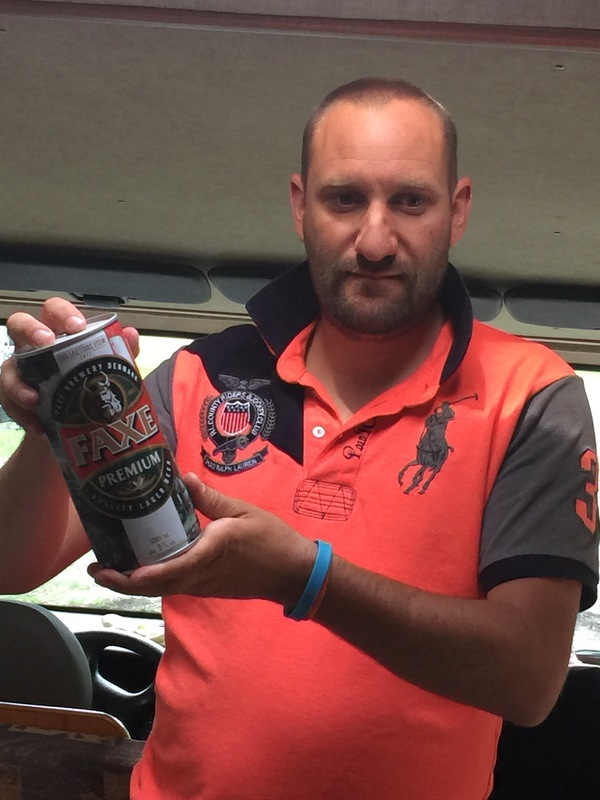 Still I managed to find a man sized can, at 1 litre who need pint size cans ! The short stretch of motorway is hopefully how well the rest of the country road network will be ! Camping Bled- a slightly bigger than were used to campsite. Our choice was an easy one, we needed a washing machine. 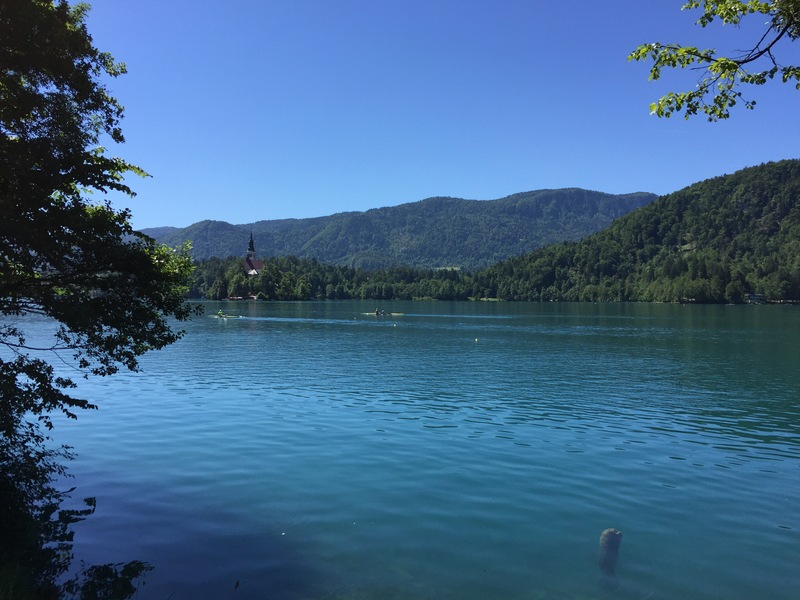 Arriving at Camping Bled, we pull in to see if they have any spaces, yes they do, yes it’s in the ACSI discount system and yes they have washing machines – perfect so not too bad to be in a busy tourist resort in June for €19 per night. Off we go to find us a pitch, we are parked in the “free camping zone” meaning you take as much space as you like or until some parks in it! Michele set about the washing, even if was overpriced at €5 per load and €5 to dry it !- but everything is once again clean and smelling fresh. Just in front of the campsite is one of the only beaches on the lake, so a quick dip of the toes to confirm what we had read about it being a thermal lake and having warm waters. 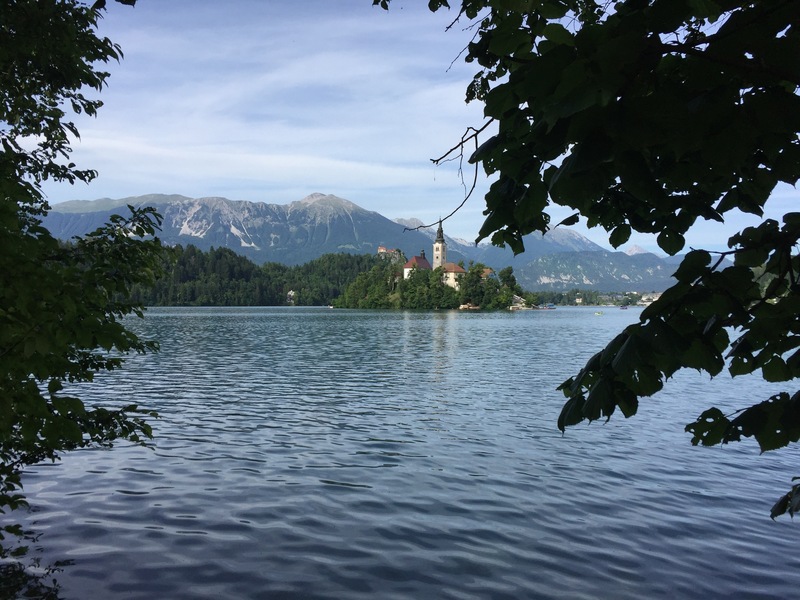 You could only describe Bled as out of this world, with its crystal clear emerald green waters and a back drop of snow capped mountains. A stroll around this fairy tale lake, with its church in the centre and it castle perched above on the cliffs was a perfect way to spend the day. As we reached the opposite shores, we found the arts and crafts markets so had a noisy around there. Thankfully no matter how quirky something looks both Michele and I know that we have little to no space in Paloma, so no purchases were made. We continued our walking, stoping every few hundred yards to either admire the views or spot the fish swimming close by. 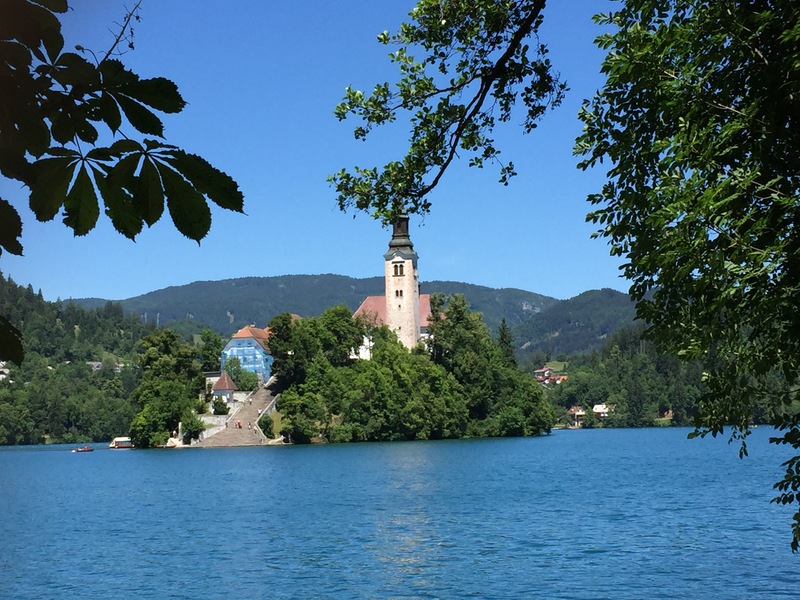 Bled isn’t a massive lake so the walk around even at our very leisurely pace takes a couple of three hours. The place is a little touristy with hire of a row boat to get out to the island at €10 per hour. 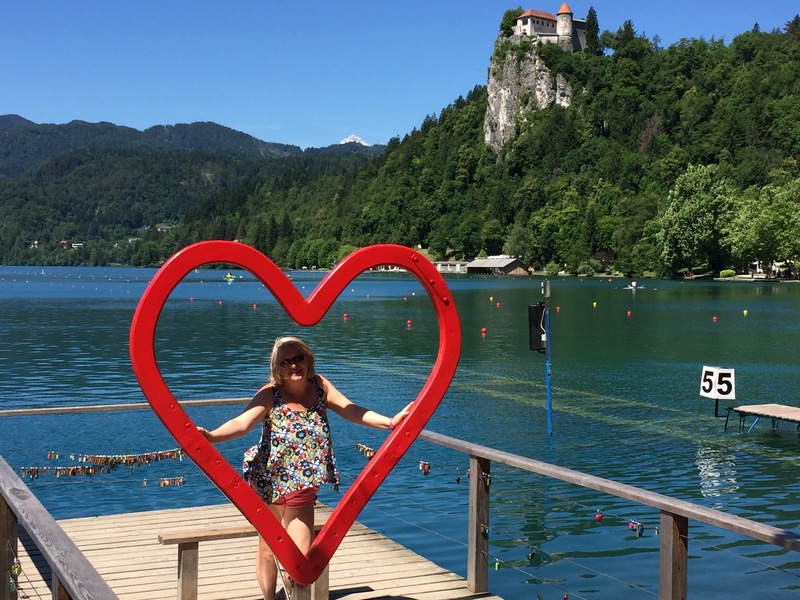 So without sounding like everyone else, bled is a must visit place, it was on Michele’s list right from the start, but be warned its busy busy busy !! If you like the pictures in article, Can i suggest that you follow our Instagram account where you can find a lot more! ← No mountain to high…. 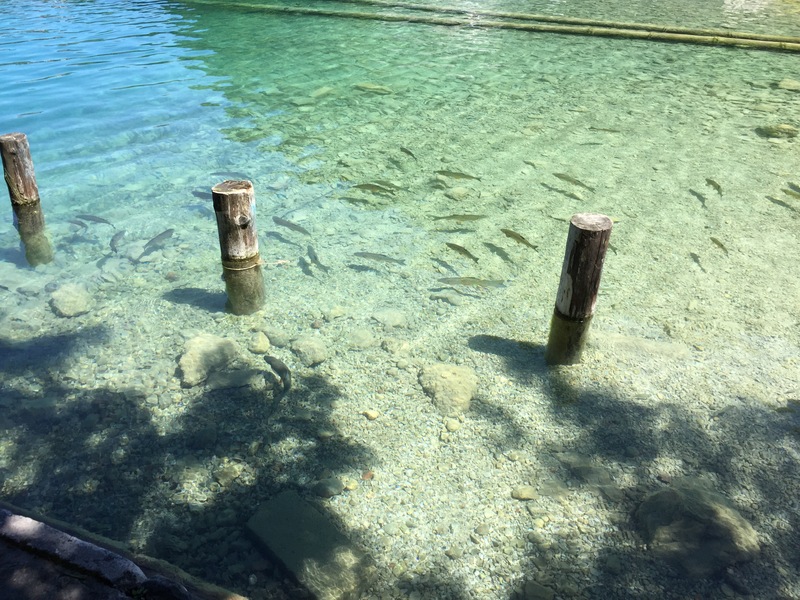 No lake to ….. Such a lovely read – how long are you away for – and where you aiming to go to altogether ? We are away for around the next 12 months , only goal is that we would like to spend the winter in the sunshine.